There is some discussion of this here but I haven't found a more comprehensive discussion of it. Material Design is based around materials in the world of print design. Two of these concepts that get to the your point is the (1) the surface you are interacting with and (2) paper. In material design, your environment is a 3D space. The z-axis extends from the surface of the screen towards the user and there is no definition of a negative z-axis. This jives with the physical print design world. You can't have something "below" the surface you're printing on. The other concept material design focuses around is paper, and how it rests on top of other layers. Paper does not "float" above the surface, it rests on the piece of paper directly below it. You shouldn't, for example, have a raised button greater than 1 step above its parent surface. As a result, you can't "push" a piece of paper (aka: the button) into another piece of paper (aka: the surface). Raised buttons behave like a piece of material resting on another sheet – they lift and color on press. The button is resting on the sheet below it. It has nowhere to go but up. Google still does use the word "pressed" but a more suitable phrase would be "interacted with". When you "interact with a button" the only z-index you have available to you is up. When you "interact with a piece of paper" you pick it up. So, while you pressed on the screen you are interacting with the piece of paper that makes up the button -- so it lifts up as a result. It is odd, yes. But it does flow with the underlying principles of the design definition. As you can see, the active material being dragged naturally must increase in the Z-plane, so that it floats above its siblings. Making the press interaction mirror that of the long-press avoids what could otherwise be a jarring inconsistency in the UX. The thing is, once we're out of the world of strictly skeuomorphic design, all (most) bets are off. In flat design, buttons usually change color on press: that is contrary to what happens in real life. Or a hamburger button that slides out a menu from the side — that has no real-world analog that I know of. I believe that what's most important in interactions is that the user understands that their action caused something to happen — they need feedback. It may prove that this particular interaction paradigm is too confusing to folks, but I think Google's bet is that throwing out the skeuomorphic script isn't that big of a deal. That this fun, different interaction on touch works just as well as a button press interaction. The button is not actually raised on press but on hover, this signals the user that the area is clickable. After the click action is performed, the button shines/blinks/waves, which is visual feedback that informs the user the action has been taken. Flat buttons are printed on material. They do not lift, but fill with color on press. Raised buttons behave like a piece of material resting on another sheet—they lift and fill with color on press. This is text from the Google Material Design Guidelines, click on the link for more information. Not the answer you're looking for? 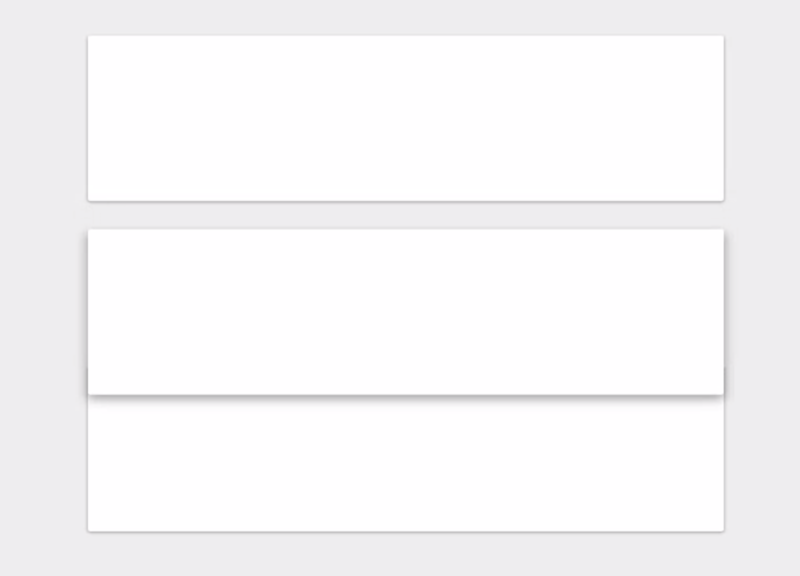 Browse other questions tagged buttons material-design or ask your own question. Mobile Button - When tapping (before releasing), should it grow or shrink? Are material flat buttons distinguishable? Material Design does not distinguish between error and warnings. Why? Why is pagination not covered by Material Design specs?